Responsibility means being dependable, making good choices, and taking accountability for your actions. A responsible citizen looks out for the well-being of others and understands we all have a part to play in making the world a better place. For a six-year-old, responsibility might look like getting themselves ready for school in the morning, helping with specific household chores, and looking for ways to be a helper at school and in the community. When children take on household jobs, they contribute to the family and learn important life skills. When children take on household jobs, they contribute to the family and learn important life skills. Work together on making a chart of responsibilities that they can take on, from organizing their backpack each day to putting away their laundry to feeding the dog. Teach them key skills — such as how to make simple healthy snacks or how to use the broom to clean up spills — to encourage their independence. According to research, children who were asked to be "helpers" were significantly more responsive to requests than those who simply asked to "help." In other words, asking children, "Will you be a helper and clean up this room?" is more motivating to them than being told "Help clean up the room." Why? Children want to be viewed as helpers — it's an appealing idea nurtures their sense of independence and responsibility. As they grow older, they can expand their notion of what it means to "be a helper" beyond their family. Talk with them about how they can be a helper at school, in the neighborhood and in the community. Encourage them to act upon needs that they see — such as throwing away an empty bottle at the park or weeding an elderly neighbor's flower bed. In this game, your child can race down the river in a uniquely designed boat to investigate what materials make the best racing boat. 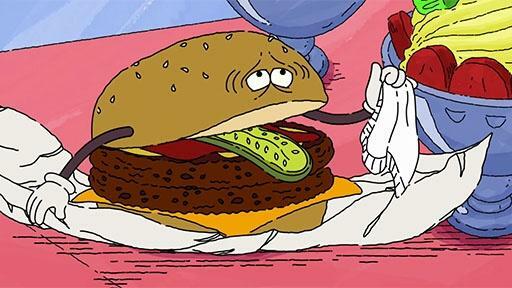 Francine is craving meat, and the talking hamburger in front of her isn't helping matters!